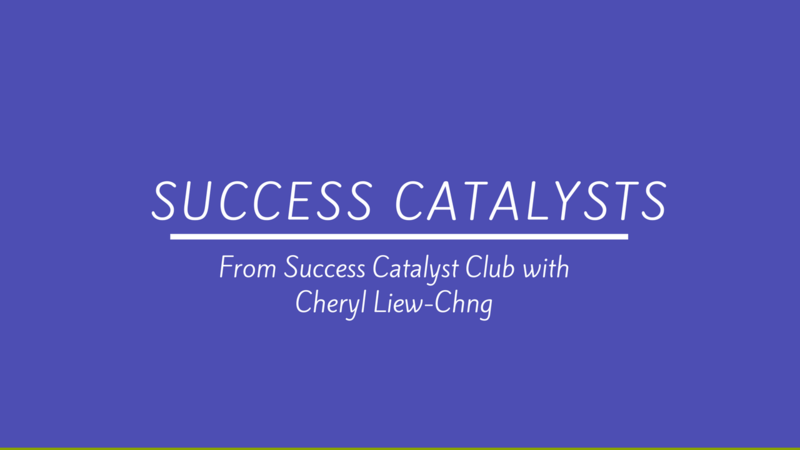 Join international bestselling author, award winning and Certified High Performance Coach, Cheryl Liew-Chng in this complimentary access to Success Catalysts. With more than 5 hours of training plus tools and strategies to enhance and improve important areas of your life - habits, relationships, resilience - helping you achieve your ambition, happiness, and growth. Complimentary Introduction to success tools, strategies and training to support your high performance lifestyle by award winning and high performance coach Cheryl Liew-Chng. More than 5 hours of training and resources just for you.